DETROIT (AP) — Jim Caldwell got a ringing endorsement from one of his mentors when Detroit Lions general manager Martin Mayhew was doing his homework. The Lions hired Caldwell on Tuesday to replace fired coach Jim Schwartz, ending a search that included a phone conversation between Mayhew and Tony Dungy. "Martin called me and said we're looking for a leader who can help turn our locker room into a winning one and to help us get the most out of our investment in Matthew Stafford," Dungy recalled in a telephone interview with The Associated Press. "I told Martin that Jim Caldwell is exactly what you're looking for. He'll lead by making people accountable and by being a role model on and off the field. And with his attention to detail and history of developing quarterbacks, Stafford is going to flourish just like Peyton Manning did with us in Indianapolis." Detroit wanted to replace Schwartz with someone with experience as a head coach, ideally with a track record of tutoring quarterbacks. Caldwell helped the Indianapolis Colts reach the Super Bowl after his debut season in 2009, but was fired two years later after a 2-14 season while Manning was injured, dropping his three-year mark to 26-22. Before Caldwell was hired by the Dungy-led Colts in 2002 to be their quarterbacks coach, he had the same job for Dungy with the Tampa Bay Buccaneers. Caldwell was hired by Baltimore two years ago to be their quarterbacks coach and was promoted to offensive coordinator late in the 2012 season. The Ravens went on to win the last Super Bowl. The Lions will introduce Caldwell as their coach Wednesday during a news conference at Ford Field. "We believe Jim is the right man to lead our team and deliver a championship to our fans," Lions owner William Clay Ford said in a statement. 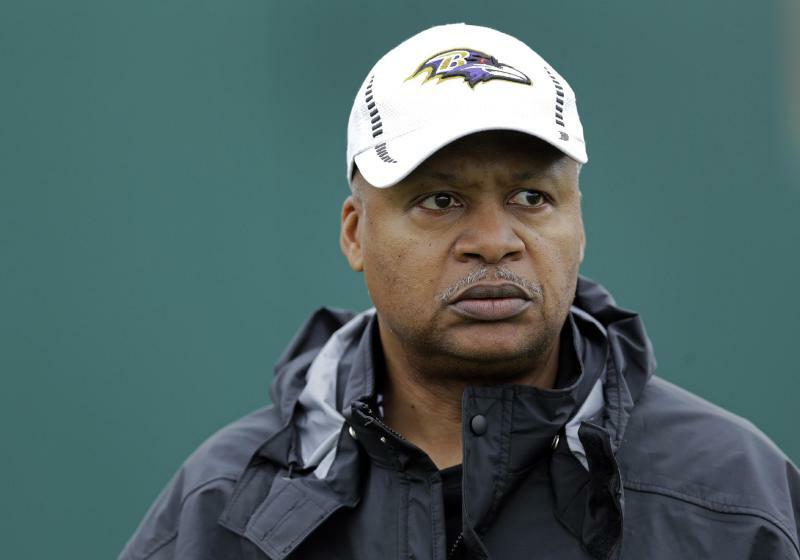 The Ravens struggled on offense in 2013 and might've replaced Caldwell if he didn't get another job. Baltimore ranked 29th on offense overall — 30th rushing and 18th passing — last season with Super Bowl-winning quarterback Joe Flacco and running back Ray Rice. Still, Caldwell's body of work was enough to also make him a candidate to lead the Washington Redskins and Titans. Former Tennessee coach Mike Munchak and ex-Houston Texans coach Gary Kubiak were also considered by the Lions. "I'm excited because he has worked with some good coaches and he did a good job with the Colts," Lions offensive guard Rob Sims said in a telephone interview. "Players seem to like him, so I'm looking forward to being a part of the next chapter of Detroit Lions football with him leading us." Caldwell won his first 14 games with the Colts in 2009 before losing the final two games of the regular season while resting Manning and most of the other starters. The Colts lost to the New Orleans Saints in the Super Bowl. Indy was 10-6 the following season and won another AFC South title, then lost to the New York Jets in a wild-card game. With Manning out for all of Caldwell's third season, the Colts lost 14 games and Caldwell lost his job. In Baltimore, Caldwell replaced offensive coordinator Cam Cameron toward the end of the 2012 regular season and he seemed to give the offense a boost as it went on to win the Super Bowl against San Francisco. Helping the Lions win one playoff game would be a relative feat: Detroit has only one playoff victory — more than two decades ago — since winning the 1957 NFL title. Caldwell, who won two playoff games in his first season with the Colts, will be counted on to use his experience with quarterbacks to make Matthew Stafford better. Detroit drafted Stafford No. 1 overall in 2009 and after two injury-shortened seasons, he has been spectacular at times and shaky at others. When the Lions needed him most, he was at his worst last season. He had an NFL-high 14 turnovers from Week 11-16 as Detroit dropped five of six games, plummeting out of first place in the NFC North and wasting an opportunity to win a division title for the first time since 1993. Caldwell's first job as a head coach was at Wake Forest, which fired him in 2000 with a 26-63 record over eight seasons. Caldwell, who is from Beloit, Wis., played defensive back for Iowa and began his coaching career in 1977 as a graduate assistant with the Hawkeyes. Caldwell later went on to coach quarterbacks, wide receivers and outside linebackers from 1982-84 for Bill McCartney at Colorado. "He's one of the finest people I've ever met," McCartney said in a telephone interview. "He has tremendous character. If he says something, you can take it to the bank and hang your hat on it. His players will trust them and they'll rally for him. He's ready for this. "Every home, every business and every NFL team rises or falls because of leadership. And, the Lions have a leader now." AP Sports Writer Noah Trister in Allen Park, Mich. contributed to this report.